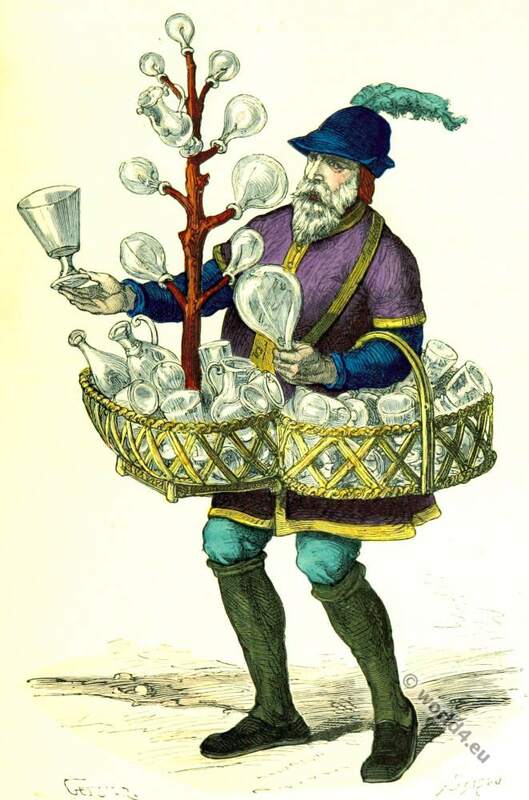 Merchant of glass and crystal in the 15th century. Home » Merchant of glass and crystal in the 15th century. Merchant of glass and crystal in the fifteenth century. Marchand de verres et cristaux (“Voirre jolis !”) au XVe siècle. Cris de Paris, Bibl. Carnavalet. Gravure extraite de l’ouvrage de H. Gourdon de Genouillac. This entry was posted in 15th Century, Burgundian dress, France, Middle Ages, Renaissance and tagged Burgundian fashion period, Gothic costumes, Paris à travers les siècles, Renaissance fashion era on 7/13/15 by world4.